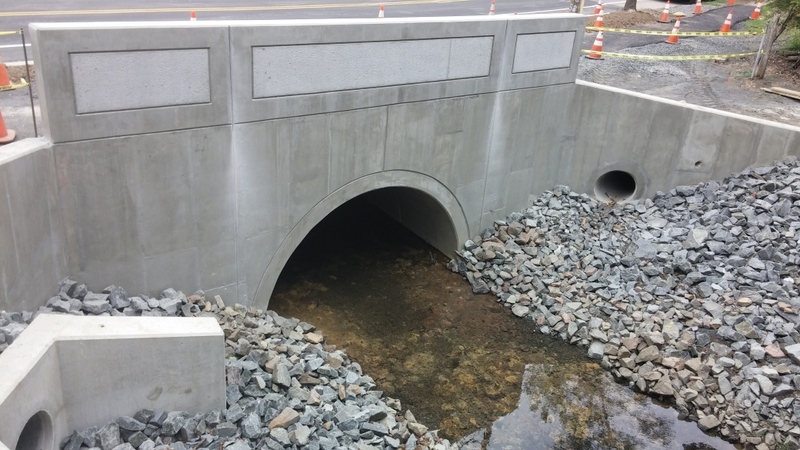 ECO-SPAN® precast concrete arch systems are used for bridges, tunnels, underpasses, and underground containment structures. Several shapes are available to fit a variety of site conditions with spans ranging from 12 to 80 feet and beyond. Using precast concrete headwalls, wingwalls and foundations, an entire structure can often be installed in a single day. Faddis is licensed to precast ECO-SPAN® arch bridge systems for use as roadway bridges and culverts in Pennsylvania, Maryland, Washington, D.C., Virginia, New Jersey, and Delaware.